A late Victorian Gem overlooking the Thames. 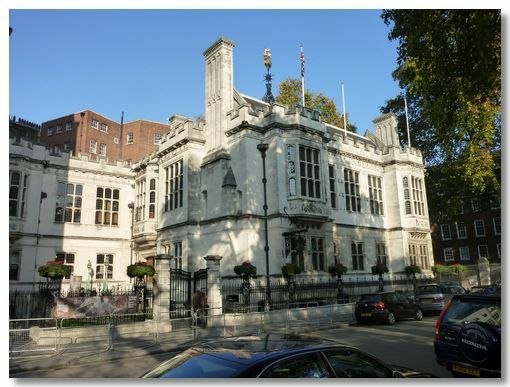 The fabulously wealthy American, William Waldorf Astor settled in London and in recognition of his charitable works was made first Viscount Astor. With no financial constraints, this home was constructed and decorated with the finest materials. It is a combination of Victorian Gothic and Elizabethan kitsch. The details are tremendous. 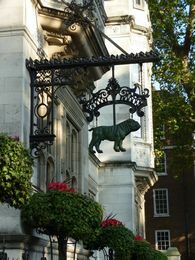 Below are photos of the Bulldog sign (the building is now owned by the Bulldog Trust!) 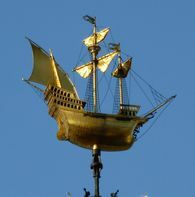 and the weather vane in the shape of Christopher Columbus' Santa Maria. 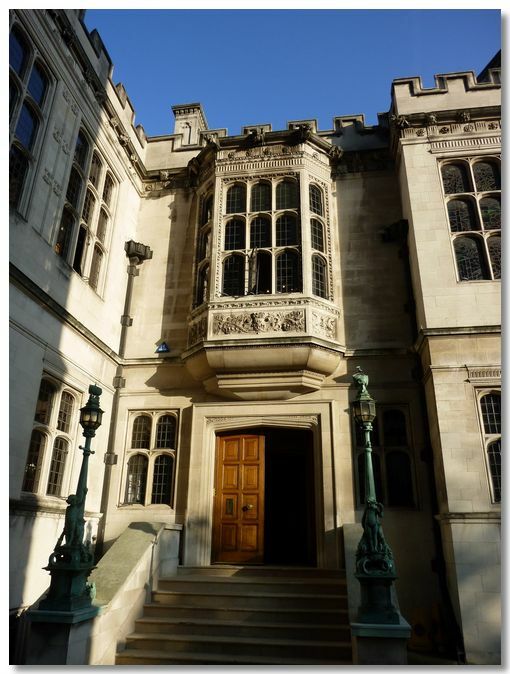 See the Two Temple Place website for more information.